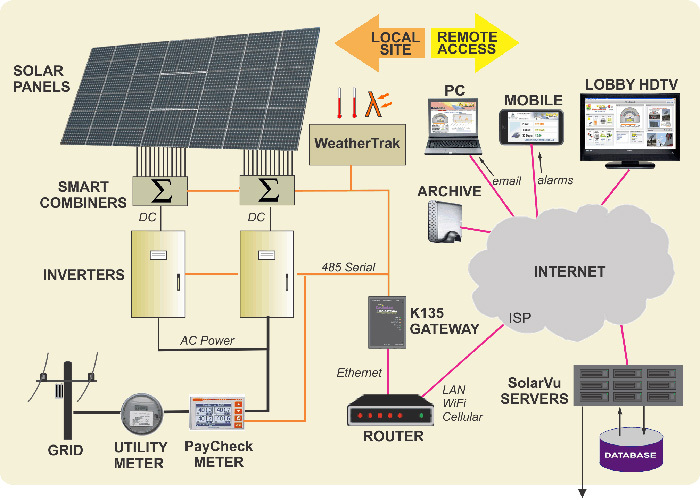 SolarVu® is a cloud computing service that uses smart grid technology to manage DG (distributed generation) systems. Access the SolarVu® energy portal from a browser on a mobile device or PC. There is no software to install and regularly update or computer hardware to maintain. System upgrades are automatically available ensuring your energy portal always provides up to date features. Lifetime energy data is stored on secure servers for immediate access. Data over any time period can be downloaded and saved for archiving or custom analysis. 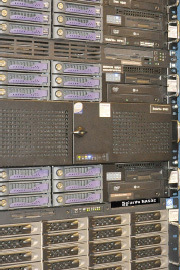 Servers are located in a tier 1 data center for high speed downloads with generator backup for reliable 24/7 operation. Data is stored for the lifetime of each system and backed up in redundant RAID servers. Customers that wish to also keep a copy of their data remotely can use the download feature to access their data files through the password protected SETUP link. By hosting many sites on shared equipment IPPs get cost effective energy portals that can be customized to their needs.